Hire-web-developers & Web Development Company mastering for the past 5 years in providing E-commerce solutions with using the open source products (CMS) like Magento, Joomla, Drupal with 68 in-house developers. We have done more than 600 Plus projects with clients across the world and we have proven track delivering our service on time. We will be working in an hourly price of 12$. We will be available for 5 days a week with 9 working hours a day. 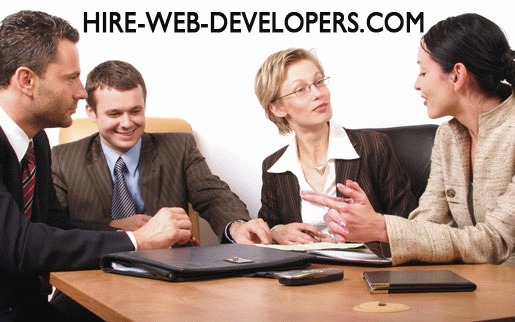 Our Developers will work in your time-zone - its like your staff but working in India. We assure Guarantee that all your questions/Concerns will be addressed in maximum of 2 ~ 3 hours. Please note this is Maximum. 1. CMS - Joomla + Drupal + Wordpress + Magento + SilverStripe(in R&D). Hire-web-developers & Web Development Company mastering for the past 5 years in providing E-commerce solutions with using the open source products (CMS) like Magento, Joomla, Drupal with 68 in-house developers. We have done more than 600 Plus projects with clients across the world and we have proven track delivering our service on time.